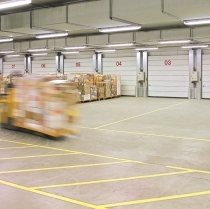 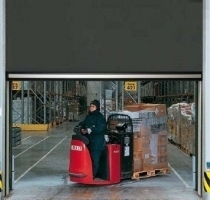 High-speed doors are used both inside and as exterior doors to optimise the flow of traffic, improve room conditions and save energy. 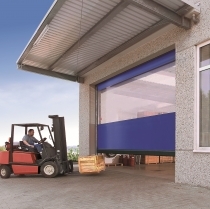 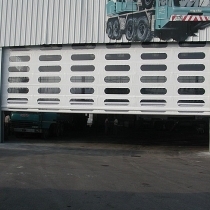 The range that we offer consists of vertically opening doors for outdoor and indoor use with insulated steel panels or a flexible curtain. 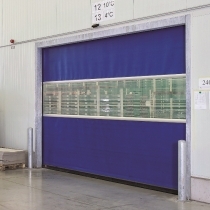 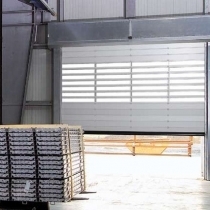 There are various opening systems available with high-speed doors including induction loop detector, movement sensor, remote control, pull cord and push button. 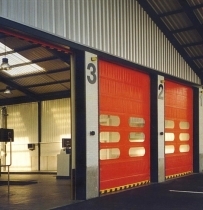 If you would like to discuss your door requirements then please give us a call and we will be happy to help.